$290.00 In stock. Order in the next 5 hours, 31 minutes and it will go out today! Up to now, the effect of breaking a glass required the use of a special table or of a device inserted in a tray, usually of a prominent size. This new Glass Breaking Book produces the same effect but with a smaller device hidden into a book. 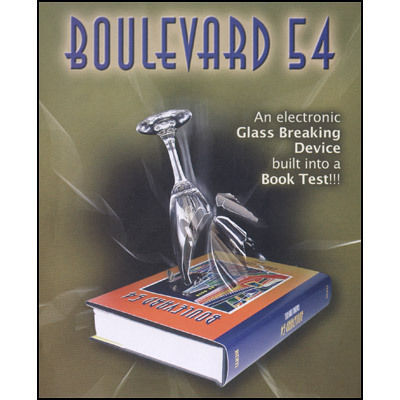 This Glass Breaking Book is an electro-mechanical device, 100% reliable, that uses two batteries (included) and has a timer that will trigger it at the moment you want (between 10 and 45 seconds). Comes complete with gimmicked book and illustrated instructions detailing 3 different effects and proper handling techniques. Contains 12 paper mouthcoils, each 50-feet long.